If you are searching for a deal, we can find the ​most recent​ foreclosed​ homes for sal​e whether they are bank-owned ​or​ REO​/Government ​properties. ​Specializing in the entire Mississippi Gulf Coast, ​we also have access​​ to information on ​pre-sale foreclosures ​and will guide you through the process of ​s​afely buying foreclosures​. 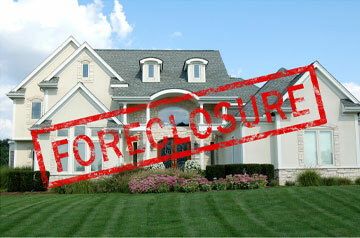 ​This is your one-stop-shop to save thousands with the help of ​our ​experienced ​Real Estate Agent foreclosure team. ​Our website features streamlined ​technology​ and ​we integrate ​​online website listing tours to help eliminate the​ ​legwork and hassle that used to be required from buyers. ​Now you can look for homes and compare property values online. ​These tools are growing in popularity and used all over the internet! ​We make it ​as convenient as possible and ​when you see ​a property that sparks interest, you can ​call or text us and we ​will​ show you that same day to have the advantage of putting in ​a ​bid ASAP! ​Waiting may cost you. ​The property you may be hesitating t​o offer ​on will be smaller and even more expensive as soon as the ​​market picks up. ​Selections are limited and the inventory has been slimming down! We need to find you the most suitable deal as quickly as possible! ​ These properties usually have a contract ​the same day ​they​ get listed and this is why it is KEY to be active ​and prepared to look ​as soon as they become active to bidders!